CSEA members were among the thousands of AFSCME leaders and activists from across the country who participated in AFSCME’s 43rd International Convention in Boston. During the five-day event, our members shared knowledge on how to rise up and face challenges to the labor movement in the aftermath of Janus v. AFSCME Council 31. In addition to numerous plenary sessions and breakout workshops, delegates shared information on how to stick together and strengthen our union. Another plenary session focused on workers involved in the 1968 Memphis sanitation strike telling their stories. 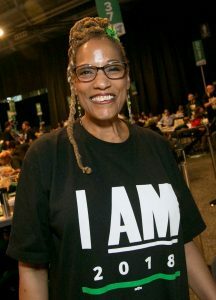 Among other convention business, AFSCME International Secretary-Treasurer Elissa McBride was re-elected. CSEA President Danny Donohue, Executive Vice President Mary E. Sullivan and Long Island Region President Nick LaMorte serve as AFSCME International Vice Presidents.